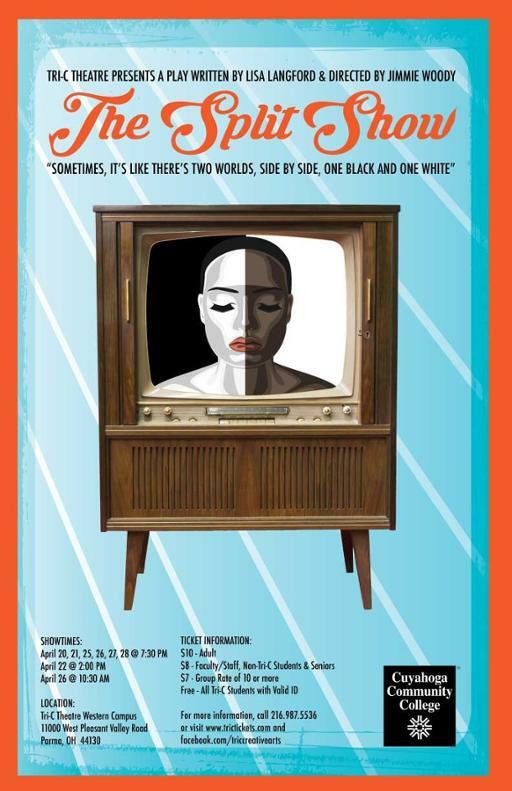 The consequences of black skin in America will be examined onstage in April as students from Cuyahoga Community College (Tri-C®) present The Split Show at Western Campus. The play — which was inspired by the Black Lives Matter movement — is an original work by Northeast Ohio actress and playwright Lisa Langford. The Split Show follows the intersecting paths of an African-American family dealing with the death of a son to police violence and a white family deciding whether to keep a biracial baby conceived in a fertility clinic mix-up. Tickets are $10 for adults and $8 for seniors or students from schools other than Tri-C. (Admission is free for Tri-C students with a College ID.) Reduced rates are also available for groups of 10 or more. Visit www.trictickets.com or call 216-987-5536 for tickets.